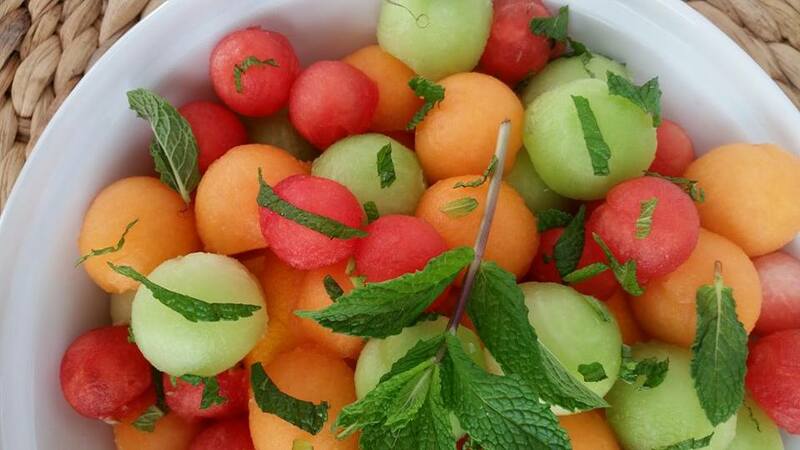 I used watermelon, cantaloupe, and honeydew for mine. Muddle & combine; lime juice, honey, chopped mint. 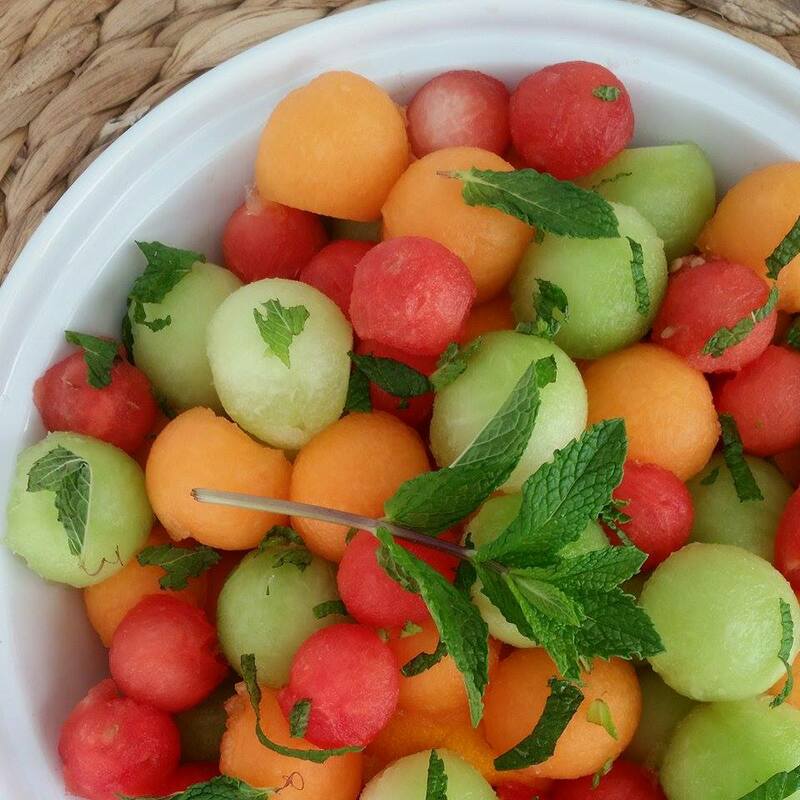 Toss gently with melon balls.